Nice to find a swimming pool at a more economical hotel. Where to find Dorset hotels near an airport? Where can I find hotels in Dorset that are near tourist attractions? 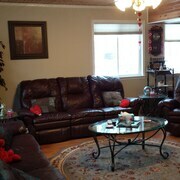 Searching for a hotel or apartment in downtown Dorset? About 3 hotels are within a 0.1-kilometre (0.06-mile) distance of Dorset's center. 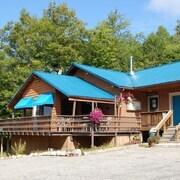 The The Nordic Inn is the closest hotel to the heart of Dorset and is merely a quick drive away. You could investigate the Deerhurst Resort as well as the Muskoka Grandview. 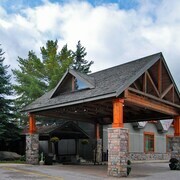 The Deerhurst Resort is positioned 20 kilometres (13 miles) away from the center of Dorset. 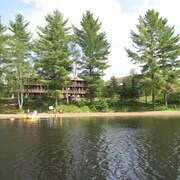 The Muskoka Grandview, is positioned 20 kilometres (13 miles) away. 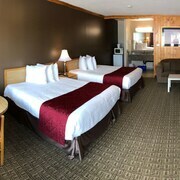 Alternatively you could check out the amenities and rates at the Hidden Valley Resort, an Ascend Hotel Collection Member or the Logging Chain Lodge Cottages. The broader Southern Ontario area is certainly worth exploring also. View Southern Ontario's beaches, coastal plains and forests. In addition you could spend time at its traditional villages. Travelers in this section of Canada commonly enjoy skiing. Gravenhurst is 50 kilometres (31 miles) to the southwest of Dorset and is home to the Muskoka Bay Golf Course and Taboo Golf Course. 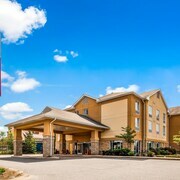 Gravenhurst hotel options include the Residence Inn by Marriott Gravenhurst Muskoka Wharf and Howard Johnson Inn Gravenhurst. 12 kilometres (8 miles) to the northwest of Dorset, you'll find Dwight, home to the Dwight Village Motel and Spring Lake Resort. If you're staying in Dwight, a couple of places to add to your itinerary are the Dwight Beach and Marsh's Falls. If you are really into sports and love watching games you might like to head to Orillia Community Centre Arena, which is 80 kilometres (50 miles) to the southwest of Dorset. 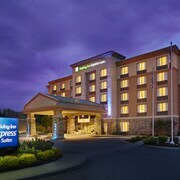 Sports fans wishing to find a bed close to the action can make a choice from the Best Western Plus Mariposa Inn & Conference Centre or the Stone Gate Inn. Jack Garland Airport is a convenient airport for flying into Dorset. It is 130 kilometres (81 miles) drive away. 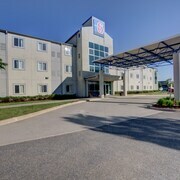 If you choose to stay nearby, try the Hampton Inn by Hilton North Bay or Comfort Inn Airport. What are the most popular Dorset hotels? Are there hotels in other cities near Dorset? What other types of accommodations are available in Dorset? Explore Dorset with Expedia.ca’s Travel Guides to find the best flights, cars, holiday packages and more!